This website is dedicated to the Belgian illustrated telegrams. In the sixty years that these telegrams were issued, 33 different telegram designs were used. Most telegrams exist in (combinations of) all the three official languages of Belgian. Information on the Belgian illustrated telegrams is difficult to find. This website tries to fill the information gap. On the telegrams page we present the different telegrams and provide a short description of the designers, as far as information could be found on the internet. On the inventory page we go into more detail and list also the major and minor differences caused by reprints, as far as we are aware of. We are continuously improving the listings and updating this website. Therefore, questions, remarks, suggestions for improvement et cetera are very welcome. We are especially interested in new findings, which will be incorporated in the listings. A printable version of this website is available upon request. We hope you will enjoy your stay at our telegram-website. Also information in print is scarse and difficult to find. A very detailed study by Walter Kerckhofs was published between 1994 and 1997 in the montly of 'Filatelie aan de Rijn'.¹ He presented a classification of the illustrated telegrams of Belgium. The classification presented here, is that classification, supplemented with new findings and some more detail. Altogether there have been 33 different (large format) illustrated telegrams. Most of them are numbered, some are not. The telegrams were available in several languages and combinations of languages. This is because there are three official languages in Belgium: Dutch (or Flemish), which is spoken in the north of Belgium, French which is spoken in the south, and German, that is spoken in a small area along the German border. In Brussels, the capital of Belgium, both French and Dutch are used. One can find telegrams in French and in Dutch, and in the combinations French/Dutch and French/German. Identification number. Most telegrams, but not all, have an identification number at the bottom of the telegram. This number exists of three parts: a character indicating the type of the telegram, a number that coincides with the illustration and one or more letters indicating the languages used on the telegram. The last is not always present. Header. The name and/or the logo of the company. Sender line. A sender line with fields for the sending office, a sequence number for administrative purposes, the number of words on the telegram and the date and time of sending. Printer's mark. This is sometimes found at the bottom of the telegram, especially on the later ones. At the bottom of most telegrams one can find a number. This number generally consists of three parts. The first part is a character A, B or C. The character A is used on telegrams for happy events, B is used on congratulation telegrams and C is used on mourning telegrams. The second part is a number between 1 and 33. Each number coincides with a different design. The third part is an abbreviation for the language(s) used on the telegram. Sometimes, the identification number is completely missing (series A and B, see below). Sometimes, the language indicator part is missing (series C and G). The oldest telegrams only have the name of the company on top of the telegram. Later the coat of arms of Belgium is added. In 1960 the coat of arms is replaced by the logo of the company (series F). Since 1966 the name of the company has disappeared (series G). The name of the company has not been constant over time. The box right lists all headers used. Except for the most recent telegrams, those with a large logo and no company name (series G), all telegrams have a section for administrative data. This part had te be completed by the officer of the sending office and consists of fields for the place of the sending office, a sequence number for administrative purposes, the number of words of the message and the date and time of sending. Like the header, the wording of the sender line has changed over time. In French the line can start with DÉPOSÉ À, Déposé à (both sometimes without an accent on the a) or Bureau d'origine; the Dutch line with AFGEGEVEN TE, Afgegeven te, Kantoor van afzending or Kantoor van herkomst; and the German line with AUFGELIEFERT IN or Aufgabeamt. During the sixty years that the illustrated telegrams were issued by the Belgian Telegraph and Telephone Company (RTT), they were printed at several printing houses: J.E. Goossens, Vanmelle, Vandezande and Leempoel. On part of the telegrams their names are printed at the bottom of the telegram, sometimes preceded or followed by a number. The box below lists all combinations of variations in the identifications numbers, headers, administration lines and printer's marks seen or reported thus far. This includes series D4, mentioned by Kerckhofs, of which we haven't seen a copy yet. Only two different French headers are distinguished. The small differences between the French headers, nrs 2, 3 and 4 in the box above are not taken into account. The same is true for the Dutch headers headers nrs 2 and 3 and the German headers 2, 3 and 4. A table with all currently known combinations per telegram can be found on the inventory page (see menu above or buttons below). As most telegrams have been available for quite a long time, there were many reprints of the same main layout. Besides the differences mentioned above, there are lots of minor differences to be distinguished. For example, the distances between the various elements on the telegram sometimes differ, the spacing of headers and the sender lines differ, the sizes of the subsequent editions of the same telegram sometimes differ, the telegram number is mostly placed bottom left, but sometimes you will find it at bottom right, et cetera. On the telegrams page we show scans of the main series of all telegrams. 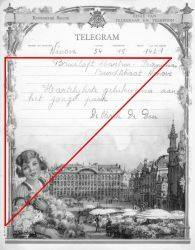 If we could find information on the internet, we also give a short biography of the artist or designer of the telegram. On the inventory page we present a detailed list of all different telegrams we could distinguish: the main series plus minor differences. The minor differences are indicated by subnumbers, for example I, II, III et cetera, eventually followed by sub-subnumbers. ¹ Between 1994 and 1997, a detailed study by Walter Kerckhofs was published in 'Filatelie aan de Rijn': 1994(6) p17-30, 1994(8) p20-24, 1995(2) p25-28, 1995(4) p3-8, 1995(7) p5-26, 1995(9) p21-35, 1996(2) p20-26, 1996(4) p23-36, 1996(6) p39-48, 1996(9) p28-38 and 1997(1) p6-19. James Thiriar was born in 1889 in Brussels. He was designer, illustrator, painter and costumier. As costumier he was primarily known for his design of military uniforms. Injured at the beginning of the first world war, while fighting in the civil guard, James Thiriar joined the Belgian Army in London. There he made many drawings of the daily life of soldiers at the front. Many of these were published by The Illustrated London News and other periodicals. First, he worked at the Topographic Service, where he made detailed maps and drawings of the front line. Later he was transferred to the artistic section of the Belgian army. There he organized several exhibitions of war art in De Panne (Belgium) and in London. He also made illustrations for the Belgian military weekly "L'Yser" (called after the river Yser) under the pseudonym Uilenspiegel. Further he illustrated several books on the first world war. In 1920 he published his own memoires intitled 'Gloire et Misere au Front de Flandres 1914-1918', illustrated by himself. Back in Belgium, he opened his own workshop in Brussels in 1925, and worked as costumier and illustrator for the Theatre Royal de la Monnaie. In 1932 , James Thiriar participated in the Belgian exploratory mission of the Ruwenzori. The Ruwenzori is a 120 kilometre long and 65 kilometre wide mountain massive in Congo and Uganda. There he painted water colours and gouaches depicting the local vegetation and wrote a paper on the flora and fauna of this region. In 1942, he made 232 illustrations for the three volumes thick Croquis Congolais (Sketches of Congo), by Fernand Gendarme, general of the military police of the Belgian Congolese Army. James Thiriar died in 1965 in Brussels, the city where he was born. Lawrence Sterne Stevens was born December 4, 1884 in Pontiac, Michigan. When he was twenty-one he moved to Minneapolis, to work as a newspaper pressman and cartoonist for The Minneapolis Journal. He attended night classes at the Minneapolis School of Fine Arts and studied under the German born artist, Robert Koehler. In 1910 he moved to Belgium to study at the Royal Academy of Fine Arts in Antwerp. In 1914 the German Army invaded Belgium and the British declared war. As an American citizen, Stevens was forced to flee to England, where he joined the U. S. Navy. After the war he returned to Belgium to study art at the 'Academie Royale des Beaux Arts' in Bruxelles. In 1919 he married Myvanwy, age twenty-six. She was also an artist and had studied in Paris. When the birth of their first child was expected they returned to her family home in Wales. There they had a son, Peter Stevens. In 1950 at age 66 he and Myvanwy moved to South Norwalk, Connecticut, to live with his son's family. Three years later he retired from professional illustration. That same year the entire family moved about ten miles to a farm in Lewisboro, NY. Lawrence Stevens died at age seventy-six in 1960. Constant Montald (1862-1944) was a Belgian painter, muralist, sculptor, and teacher. He trained at the Royal Academy of Fine Arts in Ghent, then lived and studied briefly in Paris with fellow artist Henri Privat-Livemont at the 'École des Beaux-Arts'. In Paris he painted his first monumental canvas, The Human Struggle, meant for the Brussels Palace of Justice, now found in the Museum of Fine Arts in Ghent. Montald won the Belgian 'Prix de Rome' in 1886, which provided him three years in Italy and Egypt. In 1891 he returned to Belgium, and five years later became instructor at the 'Académie Royale des Beaux-Arts', a post he would hold until 1932. His students there include some of the best-known names of Belgian painters: Ren&e Magritte and Paul Delvaux, along with many others. 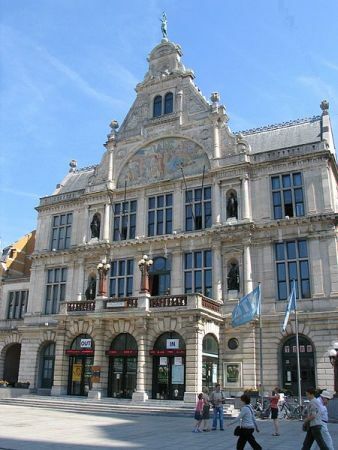 Montald's work includes the sgraffito painted tympanum of the Dutch Royal Theater in Ghent, for architect Edmond De Vigne, 1897-1899. Herman Richir was born on 4 November 1866 in Ukkel (Brussels). First he studied at the arts academy of Sint-Joos-ten-Node (near Brussels). Later he went to the 'Académie Royale des Beaux-Arts' in Brussels. In 1900 he became teacher at the Academy of Brussels. He was director of the academy for several times. In 1927 he retired. Herman was one of the most famous portret painters of his time. His colorful paintings give a true picture of the wealthy burghers of Brussels, the first three decades of the twentieth century. His paintings are very carefully painted with attention to detail. Among others he portrayed King Albert, Queen Astrid and Queen Elisabeth. He also designed posters under the pseudoniem 'Hammer'. The telegram was desgined in 1928. Richir died on 15 March 1942. Alfred Théodore Joseph Bastien was born on 15 September, 1873. He attended the 'Académie Royale des Beaux-Arts' in Ghent, where he studied with Jean Delvin. In 1897 he visited Spain and Algeria. There he developed his penchant for the use of warm colours and Oriental subjects. During the first world war, Bastien volonteered the Belgian army. In 1916 he became member of the 'Section artistique de l'Armée'. The mission of this section was to document the war. After the war, Bastien was one of the few who still painted war themes. In this period the 'IJzerpanorama' was realised. In 1927 he became professor at Brussels Royal Academy of Arts. In 1928 he became director, which he remained until 1945. In 1937 he painted his last panorama: the battle on the Maas in 1914: 8.50 meters height and 72 meters width. After the second world war he became member of the communistic party, and senator for a short time. Since 1952 he was director of the Royal Academy. He died on 7 June 1955. Amedée Lynen, born in 1852, was a Belgian painter, watercolourist, draughtsman and illustrator of daily life depictions. He received his artistic training at the Academy of Brussels under the tutorship of Paul Lauters and Joseph Stallaert. He was the co-founder of the artistic group 'L'Essor' in 1880, together with A Dillens and Léon Fréderic. 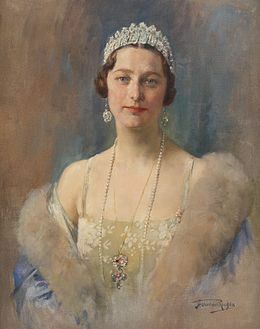 Lynen was a member of the 'Société Royale Belge des Aquarellistes', as well as a member of the 'Cercle des Aquarellistes et des Aquafortistes' and also 'Pour l'Art'. He worked mostly for art magazines, ex-libris, programs and posters. Lynen illustrated 'La Légende d'Ulenspiegel' of Charles De Coster, and for many other literal oeuvre. He died in December 1938 in Brussels. Fernand Toussaint, born in Brussels in 1873, entered the Brussels Academy of Fine Arts at the age of fifteen. At the age of eighteen he went to Paris where he completed his artistic studies under Alfred Stevens. There he participated for the first time in an exhibition, that of the Salon des Artisted Français. Toussaint is primarily known as a painter and watercolourist of female portrets. His models were always dressed in the latest fashion. But he did not limit himself to portraits. He also depicted still lifes, interiors, cityscapes, landscapes, coastal views and landscapes. He excelled as a painter of flowers. Further he was also known as an engraver and a draughtsman of posters and this telegram. He died in 1956 in Ixelles (Brussels). Jean Donnay was a famous Belgian painter and etcher, born on March 31, 1897 in Cheratte. He started his study in 1910 at the Académie Royale des Beaux-Arts in Liège. In 1920 he won the Prix Donnay de Peinture which made it possible for him to make a trip to Paris. In 1921 he entered a course on etching, in Luik. In 1931 Jean Donnay became teacher engraving art at the Académie Royale des Beaux-Arts. It was in that period, in 1933, that he made the design of this telegram. In 1946 he got the price for engraving of the province Liège. Between 1950 and 1953 he became seriously ill and had to stop working. In 1961 he became director of the Académie Royal des Beaux-arts in Luik. Donnay had expositions especially in Belgium and Paris but also all over the world: Monza, New York City, Berlin, Praque et cetera. In his work one can find sceneries from his place of birth Cheratte, of the Maas valley and the region around Liège. He died in Cheratte on July 31, 1992. Mark Fernand Severin was born on 5 January 1905 in Ukkel (Brussels). He studied in the United Kingdom where he settled in 1933. There he became the artistic director of an advertising buro. He illustrated numereous books, was decorator of five pavilions at the World exhibition in Brussels 1935 and member of the Royal Academy. 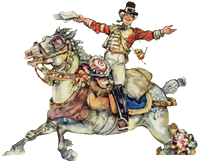 Mark Severin specialised in fine miniature work including stamps and book illustrations. He designed about 500 ex-libris. He died on 10 September 1987 in Ukkel (Brussels). Louis Buisseret was born on March 24, 1888 at Binche. Already at an early age he showed a keen interest in drawing. In 1904 he enrolled at the Art Academy of Bergen. In 1905 he had his first exhibition in his birth place Binche. In 1908 he started at the 'Koninklijke Academie voor Schone Kunsten' in Brussels. One of his teachers was Herman Richir (see telegram 4). In 1911 he won the first price of the 'Prix de Rome'. Buisseret mainly painted realistic portraits, nudes and still lifes. In 1927 one of his works was refused at the Salon of 'La Louvrière' because of its obscene character. His friend Anto Carte took Buisseret's defense and accused the Salon an immature attitude. This incident was the prelude to the creation of the artist group Nervia in 1928 by Buisseret, Carte and Leon Eeckman. In 1947 Buisseret became member of the 'Academie Royale de Belgique'. One year later he took part at the Venice Biennale. In 1952 he became commander in the Order of Leopold. 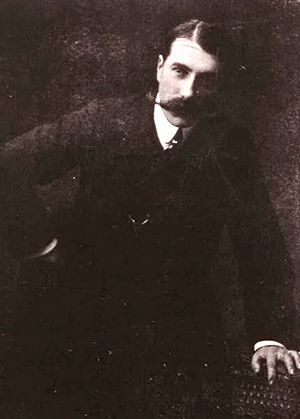 Buisseret died in 1956 at the age of 68. Raymond Van Doren was born in 1906 in Ukkel. He studied at the 'Koninklijke Academie voor Schone Kunsten' in Brussels and at the 'Nationaal Hoger Instituut voor Schone Kunsten' in Antwerp. Van Doren made its name as a designer of advertising posters. He worked, among other, for Texaco, Minerva, Oxo and the 'Oktoberfeesten' in Wieze. He also made posters on road safety. Closely related were designs for email advertising sheets for Safirke, De Gheest and the dairy Nosta. He also designed this telegram for the RTT. Van Doren died in 1991 in Ukkel. Hubert van Eyck was the eldest of the painters family Van Eyck. Neither the date nor the place of birth are documented. The same is true for his brother Jan van Eyck. It is generally assumed that they were born in Maaseik (Belgium), Hubert around 1366 and Jan in 1395 at the latest. From early documents it is known that in 1422 Jan van Eyck was a respected painter, working in The Hague (Netherlands) for John of Bavaria, count of Holland. Following the death of John of Bavaria, in 1425, van Eyck entered the service of the powerful and influential Valois prince, Duke Philip the Good of Burgundy. He resided in Lille for a year and then moved to Bruges. 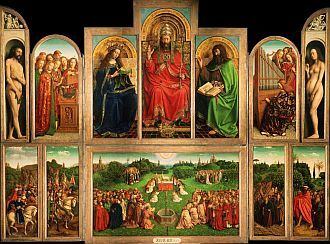 The Van Eyck brother's most famous work is 'Het Lam Gods' (The Lamb of God). This work was started circa 1420 by Hubert and finished in 1432 by Jan after the death of his brother on 18 August or 18 September 1426. Part of the second panel top left is used as the illustration of the telegram. 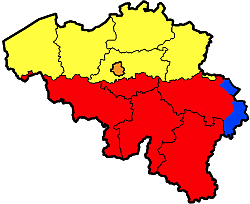 Source: Wikipedia (Hubert van Eyck) and Wikipedia (Jan van Eyck). Nelly Degouy, born on 16 March 1910 in Antwerp, was an illustrator, wood engraver, and designer of graphics and ex-libris. She studied at the Royal Academy of Arts in Antwerp and the Higher Institure of Fine Arts Saint Lucas in Brussels. She was married with graphic artist Désiré Acket (1905-1987), the designer of telegram 21. She died on 28 November in Antwerp. Although not very well-known, many people know her work, as she illustrated many much read books like Kerstvertelling (Christmas Tales) of Marie Gevers and books of Berthe Delephine, Stijn Streuvels, Tine Rabhoou and Jan Vercammen. She also designed many book covers, e.g. for Le Grand Meaulnes (The lost estate) of Alain-Fournier. Luc the Decker, born on August 13, 1907 at Ninove, grew up as the second child in a family with five children. After his secondary school he started working in his family's flower nursery. In 1929 he got permission to enter the 'Academie des Beaux Arts' in Brussels. He had among others Alfred Bastien (see telegram 5) as teacher. He perfected his technique with a portrait course at the 'Hoger Instituut voor Schone Kunsten' in Antwerp. In order to perfect his education, he began a long journey in 1934 through Italy, which lasted six months and gave him the opportunity to familiarize himselve with the pictorial tradition. He resided in Venice, Milan, Florence, Rome and Naples. Luc maried in 1942. The couple moved to Schaarbeek where they got two children. In Schaarbeek he was very productive and had at least one exhibition a year. Above that he gave drawing lessons at the state secondary school and at the 'Vrije Academie' in Schaarbeek. Besides practicing the art Luc De Decker was socially very active. Among other he was co-founder of 'Openbaar Kunstbezit' in Flanders and of the Cultural Council of Flanders. In 1972, weakened by several heart attacks, he decided to retire to his native region, to Meerbeke, part of Ninove, where he arranged his studio in a small farmhouse. Following a heart attack, he died in the autumn of 1982. 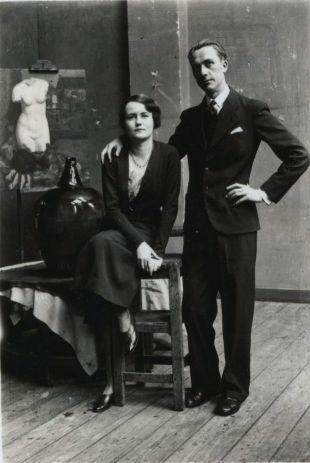 Jean Van Noten was born on June 1st, 1903 in Brussels. He studied at the Brussels' 'Academie des Beaux-Arts', the 'Ecole des Arts Décoratiefs' and the 'Ecole de Dessin' in Sint-Joost-ten-Node. He started as decorator and interior designer. From 1934 to 1946 he conducted many assignments abroad for the Department of Exhibitions of the Belgian Ministry of Economic Affairs. At the 1958 World Fair, in Brussels, he was head of the entire art department and worked on the decoration of several pavilions (tapestries and stained glass). To all his work was meticulous preparation. He found his inpiration in nature itself, in museums and specialized libraries. He mostly preferred the copper engraving. Oscar Bonnevalle was born on February 16, 1920 in Ghent. His artistic talent was discovered by his mother when he was a young boy. In 1933, thirteen years old, he was taught at the 'Academie des Beaux Arts' and the school 'Arts et Métiers' in his hometown. At the age of seventeen he had his first exhibition and won the first prize and gold medals for painting and drawing from life. He went to work as a decorator. During the Second World War he fled to France. Nostalgia brought him back in 1942 to Ghent, where he debuted as a theater decorator. He traveled and worked a lot abroad: for example in Prague and in Paris where he followed drawing classes. In 1953, he had his first foreign exhibition in Paris. In 1962 he was asked to design stamps for the 350th aniversary of the Ghent's Fencers Guild St. Michaels. These were the first of over 155 stamps he designed for the Belgian Post and a multiple thereof for abroad, particularly Africa. He won several national and international prices, among them one in 1967 of the European Postal Union for his Europa-stamps. He also designed this telegram. Oscar Bonnevalle died four days after his 73rd birthday, on February 20, 1993. There are 33 different telegram designs and 36 main variations in the layout, wording, logo, language et cetera. See the introduction page for a description of these variations. Not all variations exist for all telegrams. The table below lists all combinations known by us or reported by Kerckhofs. Combinations reported by Kerckhofs, but not known to us are in gray. Most telegrams have been available for many years and there have often been many reprints. Sometimes it is possible to distinguish between reprints. This is, for example, the case when font types differ or when similar elements are printed in different colors. An example of the latter is on telegram 7 where the telegram number is sometimes printed in brown, and sometimes in gold. Other differences are variations in the distances between for example subsequent message lines, or between the telegram number at the bottom and the separator or the administration lines. It should be noted that for variations in distances, only different distances between elements in the same colour count. The telegrams were printed in subsequent runs, one run for each colour. This has lead to variations in the distances between elements in different colours due to imprecise printing. Color shifts up to five milimeters are quite common. The distance between elements on the telegrams can be measured in three ways. One can measure the direct distance more or less diagonally over the telegram. But one can also measure distances horizontally or vertically. All three types of measurement are used below. The inventory below is the result of checking and comparing thousands of telegrams, mainly by Erik Verbeeck. And although many variations (or reprints) were idenitified, new discoveries are very likely. Our aim is to arrive at a comprehesive list as posible. If you think you can add to this inventory, please contact us. 30 Nov, 2014 On 4 August 2014 Erik Verbeeck suddenly passed away. We will miss him. His knowledge of the illustrated Belgian telegrams was unbeatable. Deneumostier, E & M, 1998, La Télégraphie Belge 1846-1914. Dobbelleer, Paul de, 1998-1999, Télégrammes de luxe, in L'Amicale Philatélique 438,439,442 and 447. Kerckhofs, Walter, 1994-1997, Liefdadigheidstelegrammen, in Filatelie aan de Rijn. Name !! Name is invalid or too short !! E-mail !! Email address is empty or invalid !! Message !! Message is empty or too short ! !